We didn’t bring a tripod so most of my pictures are completely hand held, without breathing as I tried to capture some of the visuals with a second long exposure on the camera. Suffice it to say the photos don’t really do the evening justice. At 1230am, the city was blanketed in a thick cloud of smoke. A huge difference from just an hour earlier. I hope the winds blow strong today to clear the much away. happy new year, MM and family!!! had almost the same view here at one of the condos near shopwise makati… 26th floor… the panoramic makati skyline was ablaze!!! Happy New Year MM, Mrs. MM and the Teen and to everybody! happy new year, mm and to your family! MM, Happy New Year to you and your family and crew! and about smoke clearing after the fireworks/crackers…my friends have a video of driving thru Marcos Highway from Santolan LRT station till Robinson’s MetroEast, this was around 2am, it was almost zero visibility, and they were coughing the entire time, even with windows up! My 1st new year experience in this lovely country, and it was unbelievable. I though I was in Baghgdad under siege. 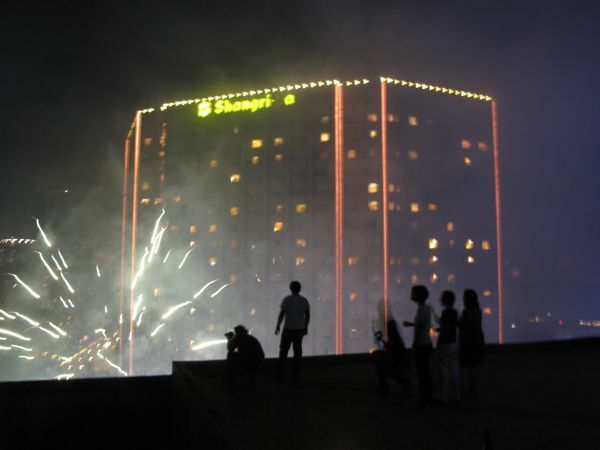 Non-stop fireworks from 8pm until 2am…. 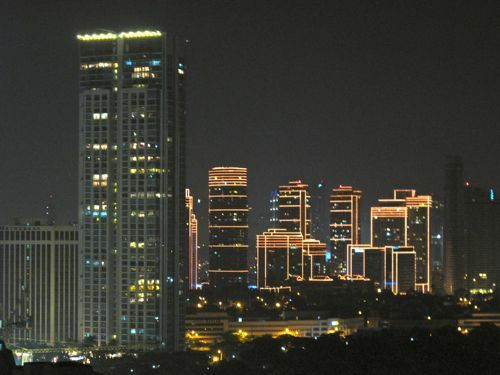 I am living in Makati and enjoy a great view, it was just amazing. The Pinoy tradition of having Metro Manila pretend to be a warzone in the 1st 30 minutes of the year. Maybe it scares the aliens observing in orbit, this yearly show of mock armaments. :D Happy New Year MM! Have a great year ahead. Awesome, fearsome display!! I would love to experience that day one – from that vantage! Happy new year MM! 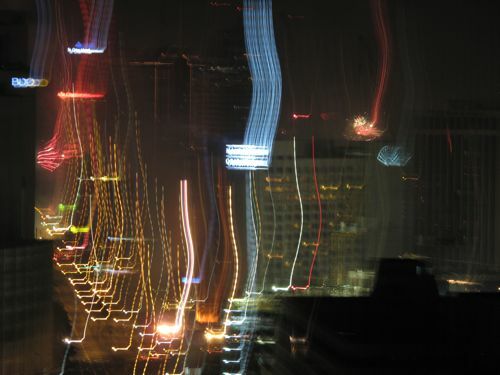 The view from one of the buildings in Ortigas was spectacular as well. Wackwack residents put on a really good show. Was just wondering about the black buggers… I’m sure by that you mean dried nasal mucus and not a “bugger” of specific ethnicity? woohoo! as i said earlier, davao city was sooo peaceful and quiet. i love the strict implementation of the firecrackers ban here, but like you, i hope the city government sets up a couple of professionally-manafed fireworks displays each new year’s eve. there’s a whole generation of davaoenos that does not know what fireworks/firecrackers are, and do not know what all the warnings on tv are all about. 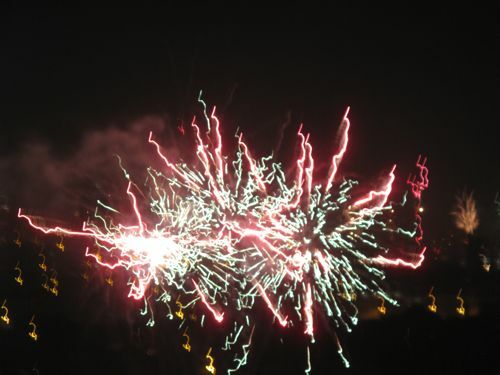 Miss all the noise and the chaos from the new year celebrations! Here, we have what you call a professionally managed fireworks display for about 20 minutes by the tourist bureau but my my younger kids do not know how firecrackers sound. Happy New Year to all! Happy New Year, MM and family (and Crew)! Belated Happy New Year! In the land that made firecrackers, it was relatively quiet here, but drinks with friends makes a big difference. We made our own noise, and blasted music for several hours after. 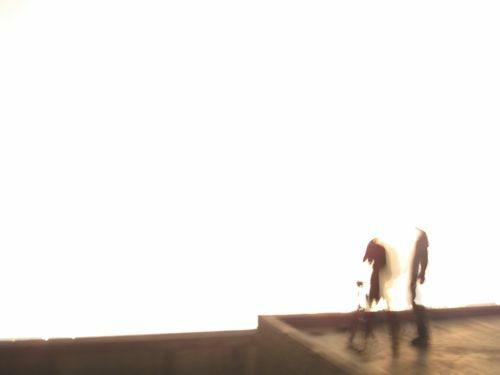 Hope everyone has a splendid 2011. Happy 2011 MM! I can just imagine how wonderful (and scary) the view is from up there. We brought a professional in from Cebu for a fireworks show here in Brgy Marasbaras, Tacloban City. We had a blast. Split the cost with my father. I’ve dreamt of having putting on a show of my own each year since I was a child. Now I can do it! Happy New Year MM and family!!! 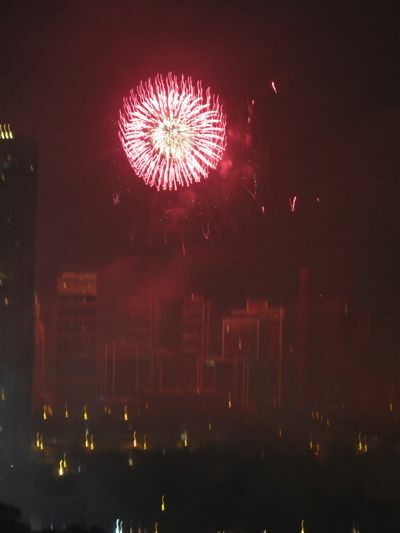 All the best to you in 2011! nothing like New Year in the Phil—lovely!! I experienced this a couple years ago. The longest fireworks show I’ve seen is 30 min. so you could imagine how surprised I was when the fireworks in this same area started at around 8 pm and ended around 1 am…or maybe longer since I decided to finally go to bed. Happy New Year MM and family! How much did it cost you to hire a professional from cebu?..i am also a fireworks fanatics and always do backyard show using my firing system..im from Palo by the way..